Are you looking for the best wall insulation in Australia? Half Price Insulation is just the right place for you. Being leading providers of wall insulation and installation services, Half Price Insulation has efficiently catered the needs of hundreds of clients since its establishment. We are the wall insulation experts which you seek! The importance of wall insulation can be directly grasped from a simple comparison between bare walls and insulated walls. After ceiling, walls are the second major source of heat transfer in and out of a living space. It means that bare walls are liable to greater energy losses and huge energy costs as compared to insulated walls which prevent heat transfer. In case of fires and acoustic protection, wall insulation serves well. Half Price Insulation delivers the best wall insulation services which surpass bare walls in each and every manner. Forget lavishing your money on goons and contact industry professionals of wall insulation at Half Price Insulation. We are the leaders in industry and for decades, we have been able to serve the needs of many clients from all over Australia. Our distinction is that we are well aware of Australia’s climatic conditions and our services are molded in compliance with the climatic needs. With Half Price Insulation’s wall insulation services, there is nothing for you to worry about anymore. We all love to enjoy a cozy temperature indoors. The truth is that even the most expensive heating and cooling systems fail to deliver optimum results if the walls are not properly insulated. Half Price Insulation’s wall insulation and installation services are a promise of indoor coziness. We identify the needs of our clients and our team of experts leaves no stone unturned in delivering the desired services. 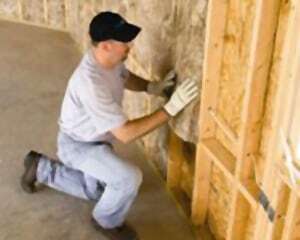 From energy savings and minimized heat transfer to the enhanced acoustic protection and fire resistance, Half Price Insulation’s wall insulation services deliver countless benefits. Made from a top-quality insulation material, our wall insulation protects the house from moisture retention, allergen accumulation, mold growth and thermal conductance. Half Price Insulation’s wall insulation and installation is an affordable, versatile and all-in-one solution to all your indoor temperature and noise problems. Treat yourself on our complete range of highly effective wall insulation which is going to offer you countless benefits in the long run. Do you want wall insulation installation with minimum disturbance? Are market prices too much for you to afford? Half Price Insulation brings you the least-invasive wall insulation installation services. We let you perform your routine tasks whilst we replace the wall insulation. You can also count on our affordable prices for installation services. Are you ready to install wall insulation in your home or workplace? Contact our experts to get a quote today!